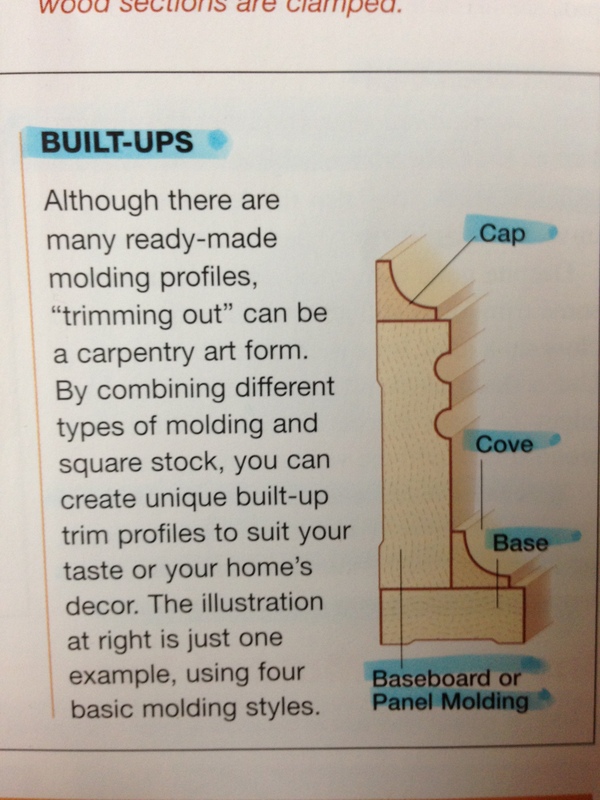 For some, baseboard molding is simply used to hide the gap between the walls and the floor. For others, it protects the wall surface from damage from shoes, furniture, toys, etc. To me on the other hand, baseboard provides a foundation to the wall and gives the eye a starting point as it absorbs the room’s detailed decoration. It is the starting point as to which fine wood work sets your home apart from the rest of the houses on the block. 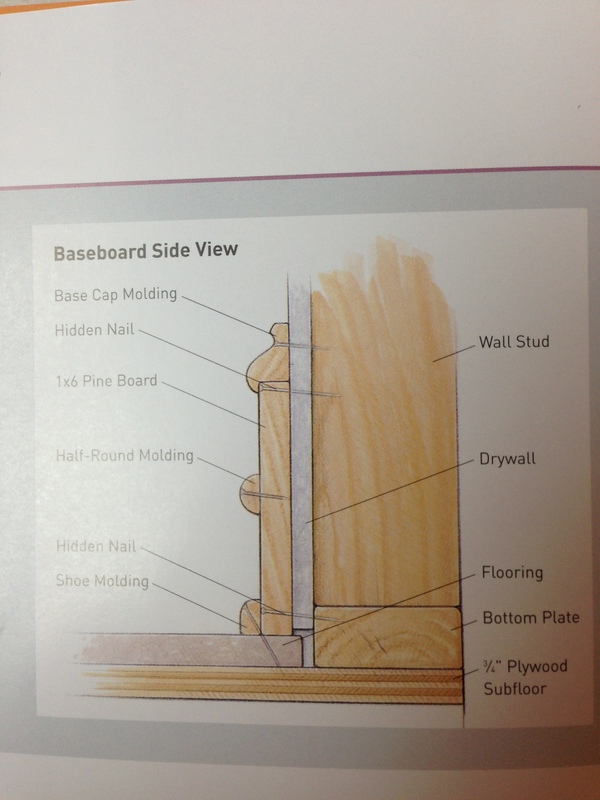 Baseboard molding comes in a variety of different sizes and styles. The first kind we will discuss is the simple, one piece, plane jane base board. These are usually flat boards with rounded tops. They are the most affordable and are mostly found in rental houses where they just serve as gap hiders. These are usually used by their self on carpeted floors and with a shoe molding on tile, wood, and flatter floors. They come in a variety of different styles and sizes running from 3 to 5 1/2 inches in height. You can buy these from any lumberyard or home center. They are simple designs and simple to install. If you have rental houses or you are on a budget, this will be the route to go. If you want something a little more detailed but not outrageous, three piece build up molding will be the way to go. This is the type of molding found on the average home. It includes three different pieces (baseboard, show molding, and base cap molding) combines to make one detailed baseboard. They will liven up your home and give it that homie feel instead of the rental look of the one piece. These come in plenty different sizes and shapes that can be uniquely combined to suit your taste. Again, if you want to dress up your home without going overboard, this is the route for you. 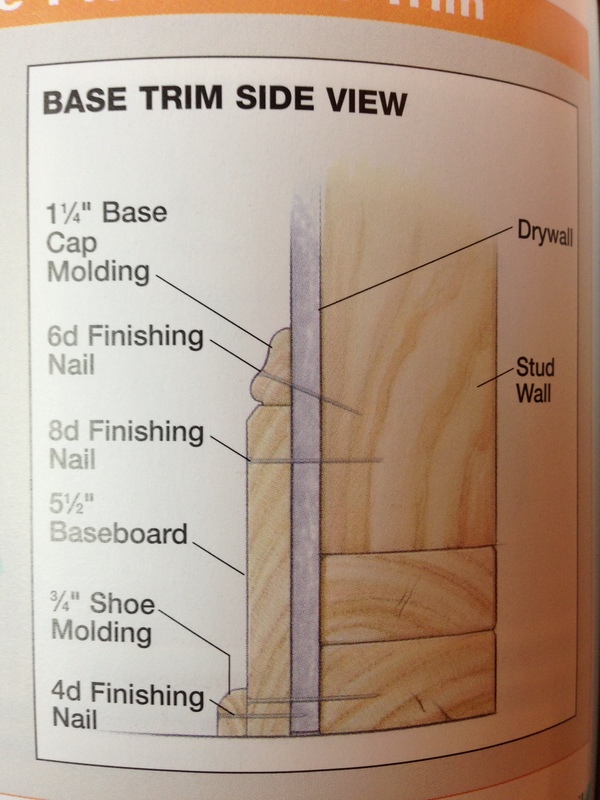 The final style of baseboard molding that I can build for you is a four piece built up type. This is my favorite style because it will set your home apart from all the other houses on the block. 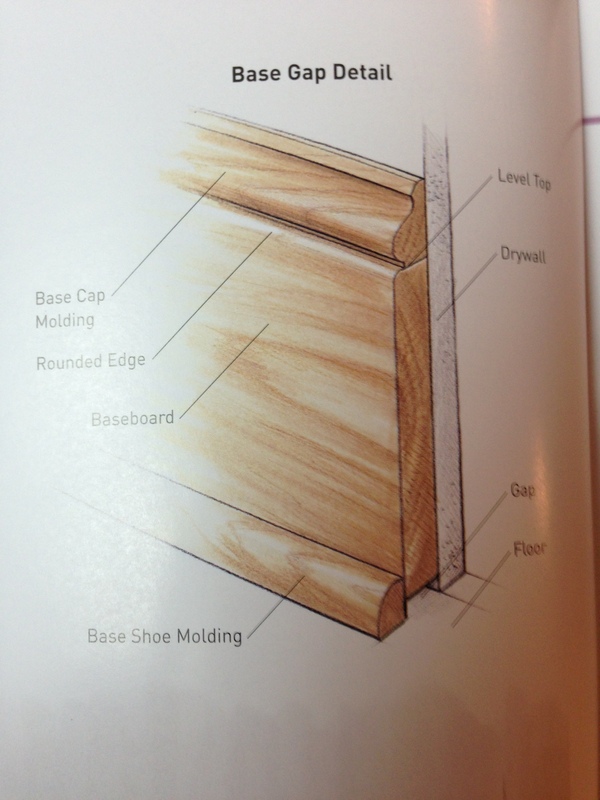 If you take a look at the picture to the lower right, you can see that this is simply a three piece cap, base, and shoe molding with an extra piece, half-round molding in this example, attached to the middle of the baseboard. But, if you look at the picture to the left, you will be able to see that with this style baseboard, there is no limits to what I can build for you. I can even take regular square stock and make custom designs with my router to make you baseboards that you won’t find in the store. If, you want that elaborate look that no one else on the block will have, this is for you. I can customize this style in so many different ways that you will most likely ever see the same in another home. I can also customize the baseboards to match all the other trim in your home. This style will also allow me to build up your baseboards as high and thick as you like. 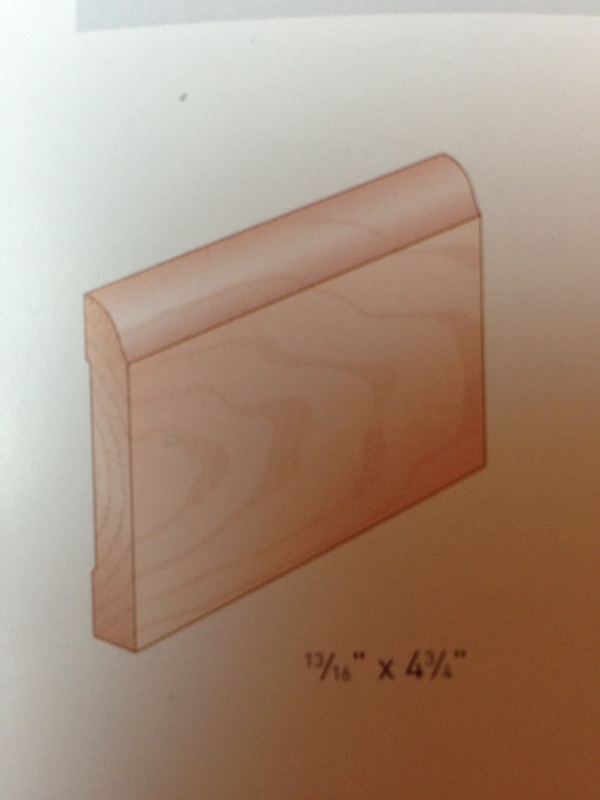 So, if you need any kind of baseboard molding installed in your home, from the simple one piece molding to the elaborate four or more piece custom moldings, just give me a call. I do nothing but quality work with premium materials. My work will last longer and hold up better than 90% of the contractors out there. I take pride in all my work and never rig anything. I warranty all my work and customer satisfaction is guaranteed!